"I hope you feel safe tonight" sings Ellen McGee in the most haunting, shimmering tone that would have both Holliday and Harvey running scared from the midnight air. If anything, that introduction from 'Electric Light, Shine On' sums up the unhinged songbook that is 'One At Twilight' to a tee. Having been simmering steadily around the subterfuge of Nottingham's hastily escalating underground scene for the last couple of years, 'One At Twilight' should be the platform that launches Saint Joan into the sphere of national recognition sooner rather than later. Whilst some of their influences are blatantly obvious - PJ Harvey and Patti Smith for example - this undoubtedly has more to do with the earnest songwriting and distinctive voice of Ellen McGee, particularly on the bittersweet eulogy to a former lover that is 'Nightmare In E Minor'. Indeed if ever one was to feel anger and betrayal at someone whose affections would have had a previously undying state of being, listen to the impeccably brutal way McGee draws out the line "Although it's not too late, you can still leave, you can go to her, but show me the sun in your sky" like the last words she'll ever utter and tell me romanticism and bitterness are not one and the same. From the moment 'One In Twilight' opens its doors, through the sound of a ticking clock on 'Klaus Kinski' to its closure on the almost tranquil wake of 'For Star City', it becomes clear that this isn't just any old record where the writer has looked out the window one day and decided to scribble about the sun and the rain and the trees. 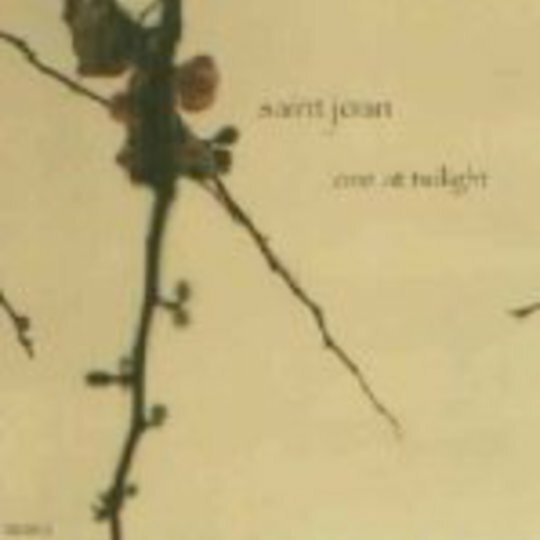 If anything, 'One At Twilight' may be a tad too personal in places, which sometimes makes for uneasy listening, but as an opening line to the brutal honesty and intricate musicianship of Saint Joan can only suggest that the golden path to perfection through imperfection is surely theirs for the taking.